This week started last Saturday with our first face-to-face National Council meeting for 2019. The Council uses these larger all day planning and strategy sessions every 6 months to monitor past performance, plan for budget and programs that will be part of the next 12 months to align with the AIB financial year which commences each April with the renewal of membership subscriptions. As we plan for the next 12 months and beyond, we start with the framework based on current members and we look at how we best deliver events, education and CPD content and course accreditation from a National perspective. Our Chapters each operate within this outline and extend the services to members based on local issues, site visits and CPD events are targeted to both members and non-members to add value and technical information to grow their expertise. adoption of an AIB Industry Partners program aligned with our Chapters looking for some ‘in kind’ support to assist with Chapter administration, CPD and events management to allow us to continue and increase the services for members locally. 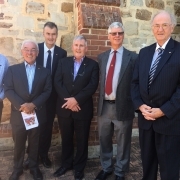 I was able to attend the memorial service in Adelaide last Tuesday for Mr Graham Fricker AM LFAIB. The service was well attended as Graham not only served the institute with distinction as our National President from 2001 to 2003. He was also committed to outstanding international level equestrian events and was instrumental in this starting in Adelaide and then being included in the 2000 Olympic program in Sydney. Graham also served the community through his work with Rotary and his local church community. The service was led by former SA Premier, Rev Dr Lynn Arnold AO and Rev Sam Goodes. The AIB was well represented with a number of our SA Chapter members and fellows joining me to pay their respects. 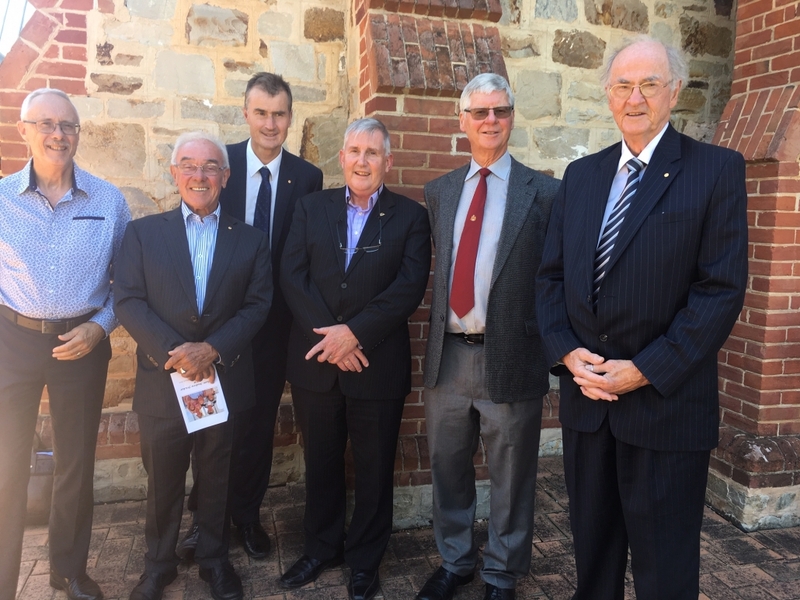 [Geoff Penley, Don Sarah, Andrew Marshall, David Burnell, Ron Swane and John Marshall] John Thomas was in attendance but not pictured. The balance of the week has included teleconferences and preparations for the PEA program for the judging panels to commence their work, Chapters are finalising venue bookings and we will start advertising the various annual Chapter dinner and awards functions with our first awards presented for the ACT Chapter in Canberra on Thursday 23rd May 2019. Do not forget the Professional Excellence Award submissions for 2019 are closing today, so you should start to plan attendance at your respective dinners through May, June or July and book tables for your construction teams and clients to show case the great projects recently completed. Finally this week has seen early bird registrations opened for the Constructing our World Conference which is happening in September in Sydney. I would commend to you early registration and also locking in your accommodation to get the best deal close to our conference venue. Sydney will be busy around this time with both Rugby and AFL finals also happening. I look forward to seeing you soon at an AIB event soon.